At Sewickley BMW, we understand how important your vehicle is to your daily life. Proper care and maintenance are each essential components of ensuring that your BMW continues to deliver the performance and reliability that you’ve come to expect. Our fully modernized BMW Service & Repair Center is equipped with the latest diagnostic equipment and specialized repair tools to give your vehicle the attention it deserves. Drive with complete confidence from knowing that our team of factory-trained BMW technicians and service experts are ready to handle all of your BMW service needs — from big to small. One of the best ways to protect vital engine components while extending the life of your engine is with regular oil changes at Sewickley BMW. Our factory-trained BMW technicians will replace your engine oil and oil filter with Genuine BMW parts designed to safeguard your engine from harmful heat and friction. Prevent wear and tear while getting the most out of your engine with an oil change from Sewickley BMW. Your battery plays a vital role in how your vehicle operates. If yours has been acting up lately, our expert BMW technicians can check the condition of your battery and perform any necessary service. They will check for excess corrosion buildup and perform a voltage test to determine if your battery needs replaced. Should that be the case, Sewickley BMW carries Genuine BMW batteries which are designed to deliver superior cranking power and performance in your vehicle. Your brake system is one of the most important aspects of your BMW and plays a significant role in keeping you safe on the road. Count on the professionals at Sewickley BMW to thoroughly inspect, repair, or replace your brakes at the first sign of a problem. Using Genuine BMW brake components designed specifically for your vehicle, our factory-trained technicians will help you ensure that your brakes continue to perform as they should. As your top destination for tires, Sewickley BMW offers an extensive selection of BMW OEM replacement and BMW winter tires which have been engineered specifically for your vehicle. Shop online from the comfort of your couch with our online Tire Center. Or stop by the dealership in person to get the best deal on the right tires for your BMW. 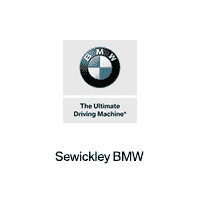 Sewickley BMW makes it quick and convenient to get expert service for your BMW vehicle. Simply use our Schedule Service tool to select the date and time which best fits your busy schedule. Our team of friendly and knowledgeable BMW service professionals look forward to serving you!